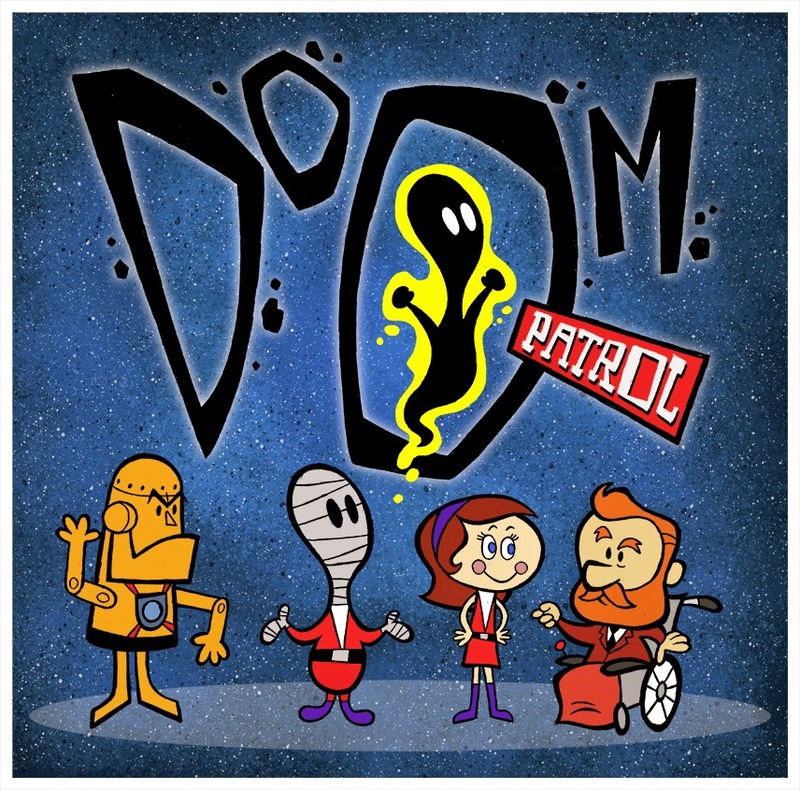 Doom Patrol: Just a quick post with a fun image. . .
Just a quick post with a fun image. . . I'm working on a plan to get my stuff together. Hopefully this summer gives me a chance to do that. Until then, enjoy this image I found on Phil Postma's site. Thanks to the Irredeemable Shag for raising my awareness on this one. 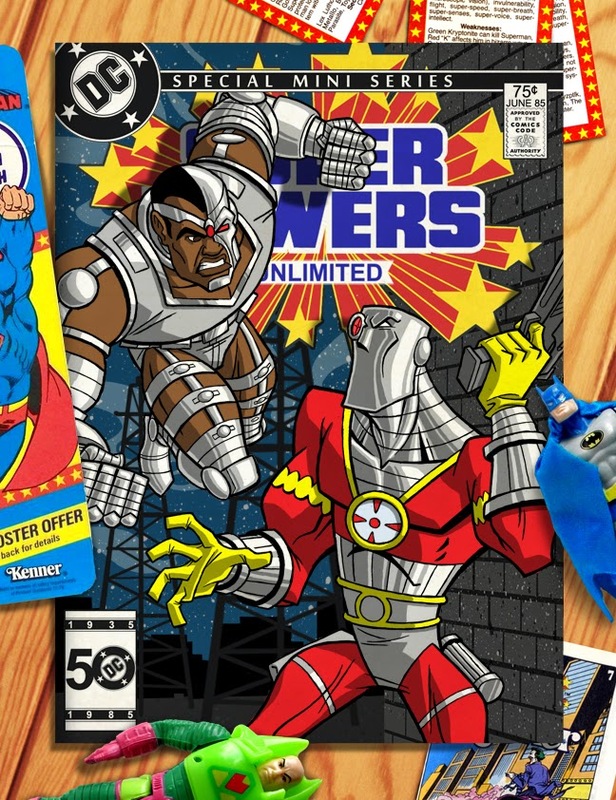 Shag actually posted about Phil's Super Powers covers, including this beauty between Cyborg and Deadshot. 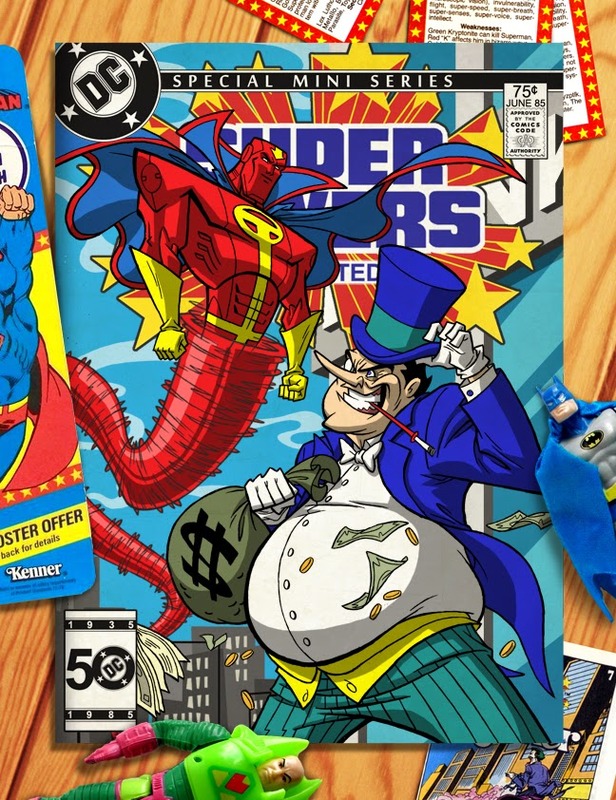 . .
. . .and this one with Red Tornado and the Penguin. As you may or may not know (or care) both Cyborg and Red Tornado hold a special spot in my heart. I've tinkered (oh, so punny) with blogs devoted towards each of these mechanized men, but I'm more delinquent keeping those up than this one! While I don't have my Super Powers Red Tornado figure any longer (never did get the Cyborg one) I do have a nice JLU version. PATROLLERS GO GET JUSTICE LEAGUE #31!! !